Terra Linda Rec.Center until Santa Margarita School was finished (in the 1st or 2nd grade). My favorite school story...I married him. 3 years after graduating, Randy (my high school sweetheart) & I married & moved to Hawaii while he was in the Navy, & I graduated from U of H. Most of the next 20+ years spent in the bay area, including 12 years living on a boat (power, then sail). In 1995 I attended a conference for work (insurance consulting) in Sunriver Oregon & fell in love with the place. The next year we'd bought a vacation place here, and finally in 2001 took a chance & moved here. It took us awhile, but we both found our dream jobs. Mine was working as the Risk Manager (safety, insurance, claims management) for the Sunriver Resort. Unfortunately, that dream job ended in October 2010 when I was laid off. After that, I did some HR consulting and teaching CPR/1st Aid for the Red Cross before landing in the HR department of Les Schwab. Randy retired in December 2016 & I followed in January 2018. Not sure what the future will bring, but know it will be interesting. 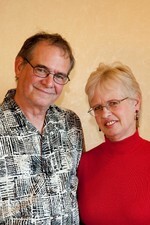 In 2004 we moved into Bend (15 miles north of Sunriver) when Randy's mom moved up with us (she's still with us at 95). 2-1/2 acres in the pines. Needless to say, we love it. 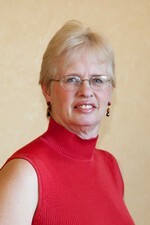 Sally Young Heise updated profile. View. Sally Young Heise added a comment on Profile.